Special Events – UNITY, Inc. UNITY youth took center stage at the 37th Annual Orme Dam Victory Days celebration hosted by the Fort McDowell Yavapai Nation in Arizona. 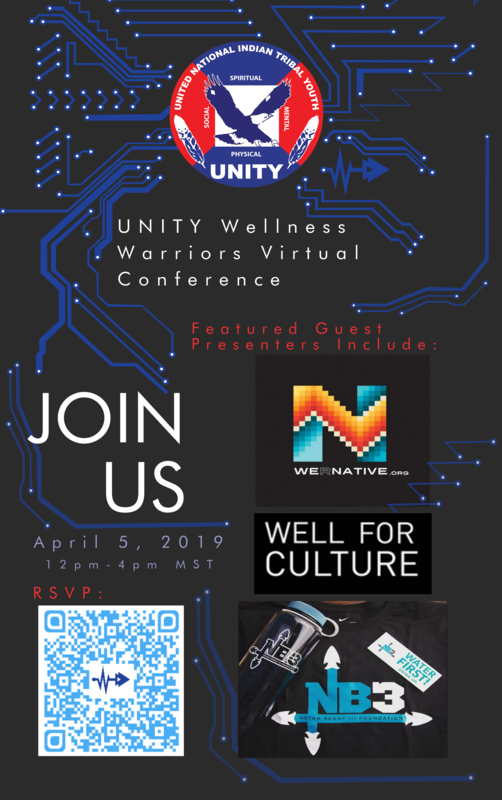 As a result of its long-standing relationship with the Fort McDowell Yavapai Nation, UNITY gladly partnered with the tribe to coordinate cultural performances during the three-day event. In honor of the theme “Yavapai Youth of Tomorrow” four UNITY youth councils and other youth presented their traditional songs and dances at the Yavapai Village located at the tribe’s fairground site. Several hundred Native youth gathered in Oklahoma City in October for the annual AISES National Conference, engaging with inspirational speakers, such as Dr. John Herrington, the first enrolled member of a Native American tribe to travel to space, and participating in many networking sessions that promoted STEM fields (Science, Technology, Engineering, Math). UNITY staff and youth leaders connected with participants throughout the conference and with an outreach booth during the College and Career Fair. Purchase tickets at the UNITY office by Friday, May 22, 2015 for an opportunity to win 10 free tickets. Mark your calendars and purchase your tickets now! UNITY will host the 2nd Annual Native American Heritage Night on Tuesday, July 14, 2015 at 7:00 pm as WNBA star Shoni Schimmel comes back to Phoenix for what is expected to be an exciting rematch between the Phoenix Mercury and the Atlanta Dream. A portion of every ticket sold will go back to supporting UNITY. You may buy tickets at the UNITY office or, if you prefer, purchase online HERE. Refer to the attached flyers for more information about this event.